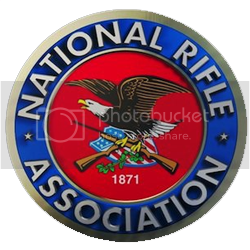 Last Thursday I was glued to my TV for an hour while CNBC Prime showed "The Rise of the AR-15". The only thing pulling my attention from this show, was the twitter feed discussion going on simultaneously. Even producer, Brian Sullivan made sure to be part of the conversation, which attracted all kinds. Right from the beginning, many tweeting gun-folks were on the defensive, claiming Sandy Hook didn't involve an AR-15, and other details of the show were incorrect, but half way through the show, many were noting a very balanced vibe. Not to be argumentative with anyone, but I first had to correct one or two of the tweets who still believed that at Sandy Hook, the AR-15 was found in the trunk of the car. Fortunately, these corrections were not met with any resistance (and now, hopefully, that misconception has been cleared up.) The show interviewed a victim of the Arura, CO shooting, who did not blame the AR-15 for that event. Don't get me wrong, she wasn't in the process of building her own, but she didn't say they should be banned either. Later, a dentist from Florida was seen at the range with friends, other professionals, explaining that they are the face of the typical AR owner in America. According to the narrator, these men spend their recreational time, not on the golf range, but at the shooting range.